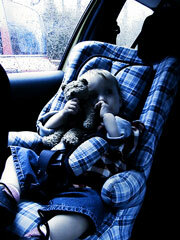 Booster seats are an important safety accessory for any child who travels by car. As a matter of fact, not only are booster seats important, they are also required by law. Children who have outgrown their full harness seats must continue to use booster seats until they reach certain height and weight requirements. Unless they are at least 4'9" tall, children between the ages of four and eight or weighing between 40 and 80 pounds should be properly restrained in a vehicle's rear seat in belt-positioning booster seats. 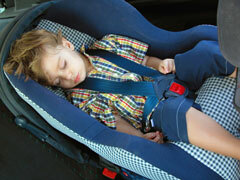 A booster seat is designed to make the lap and shoulder belts fit a child correctly. Officials said the 5-year-old boy unbuckled himself from his booster seat and grabbed the gun from a pocket on the back of the passenger seat. KETV. Monday, 31 Dec 2018 15:04:00 GMT. Emily A. Thomas, Ph.d.. Consumer Reports. Saturday, 17 Nov 2018 01:48:15 +0000. 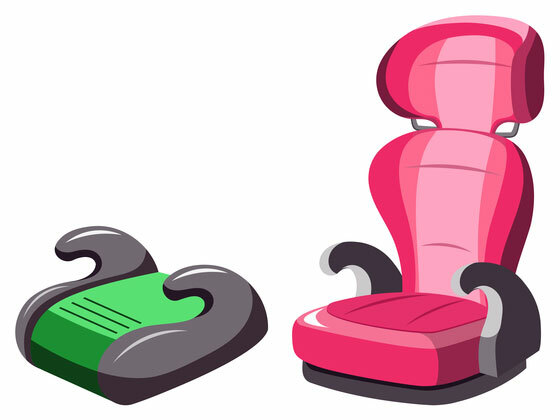 Two types of booster seats are available: high-back boosters and low-back boosters. If your vehicle's seats do not have built-in head restraints, a high-back booster seat is probably a good choice, as it provides head and neck support for the child. A low-back booster seat is for use in cars that have built-in head restraints. Both types of booster seats use your car's lap belt or shoulder belt to properly secure the child. Can the child sit all the way back in the seat? Do the child's knees reach the edge of the seat when he or she is sitting all the way back, and do they bend comfortably? When the child is properly seated, does the belt cross his or her body between the neck and arms? Is the lap belt as low as possible, touching the child's thighs? Can the child stay comfortably seated in the proper position during the entire car trip? If you answered "no" to even one of these questions, then your child still requires a belt-positioning booster seat. BoosterSeats.us features convenient access to selected child booster seat manufacturers and suppliers, as well as child seat safety information. "First class travel for children." Features award-winning booster seats and child car seats. Offers booster car seats, convertible car seats, and infant car seats. Booster car seats and convertible car seats featuring high back design. Designer of high back booster car seats that are licensed and developed by Dorel Industries. This manufacturer of innovative infant and toddler equipment offers a popular line of booster car seats. Leading juvenile products company. Find the perfect Graco child car seat for your little one. Child safety seat information from the National Highway Traffic Safety Administration. Booster seat usability ratings, in terms of labels, instructions, vehicle installation, and securing the child. This article by the NHTSA highlights the selection and installation of car seats for children, in the context of child safety when riding in a motor vehicle. From the Insurance Institute for Highway Safety.